"He stepped up in trip on that occasion and saw it out very well, and he will certainly enjoy the extra two furlongs for Tuesday night." James Doyle didn't quite deliver yesterday for us (despite the headline), but at least Watheera did with a win and a victory for the Owen Burrows second-time out theory. Hopefully we can bag another success on Tuesday. This Redcar race is one that trainer Tom Tate likes to target with Awake My Soul. He won it last year in comfortable fashion, and he finished runner-up in 2016. He is the one to back in this at around [6.0]. The key for this veteran is soft ground - he must have those conditions. At the time of writing the going was soft, so he enters into calculations strongly. He won a decent handicap at York when last seen from a mark of 89, and he landed that by over two lengths. He runs from 94 but has been in some good races in his time, and should go well with optimum conditions. We're playing towards the top of the market here with Sunday Prospect - who was available to back on the Exchange at around [3.60] last night. This horse has still got plenty of improvement in him. He landed the money when scoring on handicap debut last time at Leicester over 1m2f. 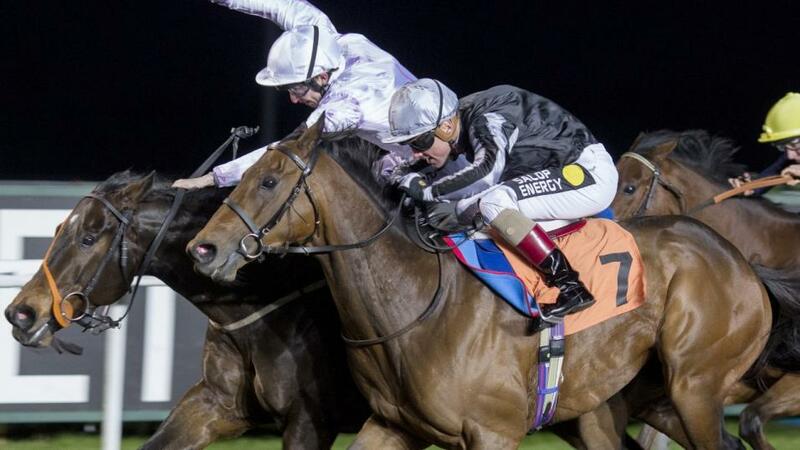 He stepped up in trip on that occasion and saw it out very well, and he will certainly enjoy the extra two furlongs for Tuesday night. His victory recently came from a mark of 71, but it was only his fourth outing - so I would be surprised if that's as good as he is. Sunday Prospect hasn't stood much racing as a 4yo and has clearly been fragile, but it's pleasing he has put together back-to-back outings recently and turns out just three weeks after his Leicester victory. Caveat emptor; it's an amateur riders' race. Whilst these sorts of races are not everyone's idea of a betting medium, I like them, and James King is a handy amateur. It's more about judging the pace in these contests.